Applications for the 2018 NYU Game Center summer incubator are now open! 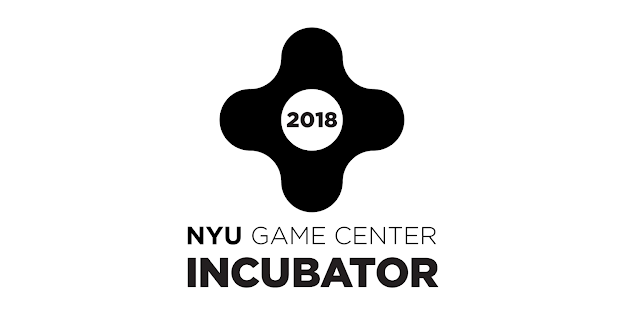 If you have a solid game prototype or a half-finished game, but you don't know how to finish it or how to do all that "indie biz" stuff, then this incubator might be a good fit to help you move toward release and financial sustainability. The catch is that if you make more than $10,000 in a year from the game, then you pay 10% of the rest of your revenue back into the incubator to fund future projects. If you don't end up making money, then you don't pay anything. You still maintain ownership of your game and IP, and you can also negotiate these terms if you want -- but compared to a lot of funding deals, this is already pretty generous. So if you'd be relying solely on the living stipend for all your costs, then it's maybe barely doable but not recommended. You might need to have a bit of other income or savings. The incubator heavily encourages applicants from outside of NYC to apply; it gets money from the state government specifically to attract more people to come live and work here. Non-US applicants are also welcome to apply but keep in mind that the visa process can be difficult and unpredictable, especially if the US government does not have good relations with your country, and the incubator will reach out to selected international applicants to talk about what's possible. Because this whole thing relies on successful projects paying back into the incubator, be advised that this program mostly has a commercial focus. It's about helping you to launch your game, and hopefully you become financially stable so that you can pay some of the money back. Less overtly commercial projects are still good and might be selected, but you'd have to have a clear plan or goal in mind -- to that end, there's now a ReFIG funded incubator slot to support a team/project aimed at social impact and improving diversity in the game industry, even if your project isn't a "traditionally commercial" type of thing. For full details and information, or if you have other questions, visit the 2018 application page here. The deadline to apply is April 8. Good luck!